If you’re planning on relocating to a new house or a new office in New Hampshire, Trend Moving & Storage is one of the best moving companies Rochester mover, that you can count on. For many years, we have successfully provided the best moving services for our clients in Rochester, New Hampshire. With highly experienced movers that you can trust, you can rest assured that your belongings will be treated with the best care. At Trend Moving & Storage, we are totally dedicated to ensuring that your items are kept intact and this is the reason that we employ topnotch safety processes as we serve our clients. For the best moving companies Rochester service, we are a top choice, and we have experienced movers who have put in a lot of years in helping our clients in Rochester move successfully from one location to another. If you are planning on relocating to a new home, we have very experienced movers that are capable of handling any residential moving project regardless of the size. While moving to a new apartment, we will provide customized solutions for you to ensure that all of your valuables are transported safely. With Trend Moving & Storage, your move is guaranteed to the sinless and hassle-free. No matter how short the distance is, moving is never an easy task. Moving locally in Rochester, also, has its challenges. Therefore, you need a moving companies Rochester service to ensure that you have the professionals who will assist you with the movement of all of your belongings and delicate items. Contact Trend Moving & Storage to help you with the complicated tasks such as packing, loading, as well as, delivery and unloading at your new location. Our professional moving service will save the stress and cost of handling your local moving project all by yourself. 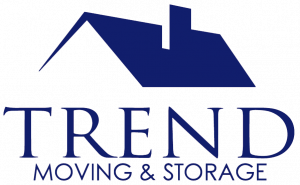 Trend Moving & Storage has been providing our customers the best moving experience around Southern New Hampshire, and Northern Massachusetts. We offer moving services in and around the towns of: Derry, Londonderry, Salem, Hampton, Exeter, Manchester, Nashua, Merrimack, Rochester, Dover, Keene and Hampstead NH. At Trend Moving & Storage, we offer businesses specialized moving services. We have movers that are well trained and have the expertise needed to successfully execute a commercial relocation. We will assign our team of trained professionals in Rochester, New Hampshire to help you create a moving plan that suits your needs. Then, we will supervise the entire moving process from the start to completion. We guarantee you that all your important items and documents will be safe throughout the moving project. If you intend on carrying out an office moving project, simply contact Trend Moving & Storage, and we will help you with everything that you need for an office moving process that is safe and affordable. We are very reliable, as well as, affordable, and we will provide you with a customized moving plan that has worked for our clients in a wide range of industries. With our highly trained movers, we employ precision in every office moving project that we handle in Rochester, New Hampshire. All of your very valuable documents are meant to be kept in a facility that is very secure and not in your home. We provide storage facilities for our clients in Rochester to safely keep all of their sensitive documents. Then again, we provide commercial storage services with our expansive warehouse, as well as, trained staff which differentiates us from the competition. If you are searching for a very secure place to keep your valuable business items, Trend Moving & Storage can provide you with a storage solution that is very secure. Also, we store household items for all of our clients. Trend Moving & Storage is set up in New Hampshire and is committed to offering top-notch moving services to our clients in Rochester. We are very professional and have a very warm and friendly customer service that makes our customers feel at home whenever they contact us to handle their moving projects. We treat our customers as valuable, and we provide rates to Rochester NH residents that are highly competitive. By showing a high level of commitment, it is our objective to develop working relationships with our clients that will last a long period of time. We have a history of exceeding the expectations of our clients, and we will do the same for you too. When you hire Trend Moving & Storage, you will have very experienced movers working for you. We specialize in providing premium moving companies Rochester services to a wide range of industries. Also, you will connect with us through an open communication system that ensures that you are kept abreast of every action that we take while moving your belongings from one destination to the other. We are very careful in handling all of your items to ensure that we get them unloaded at your desired destination in top shape. Moving is a very stressful activity, and we are committed to providing you with professional help that is seamless and affordable. We have a team of trustworthy movers that are highly trained to kick start and complete your project in a professional manner. If you are looking for a moving companies Rochester, New Hampshire service, just reached out to Trend Moving & Storage and we will set up a free consultation for you.